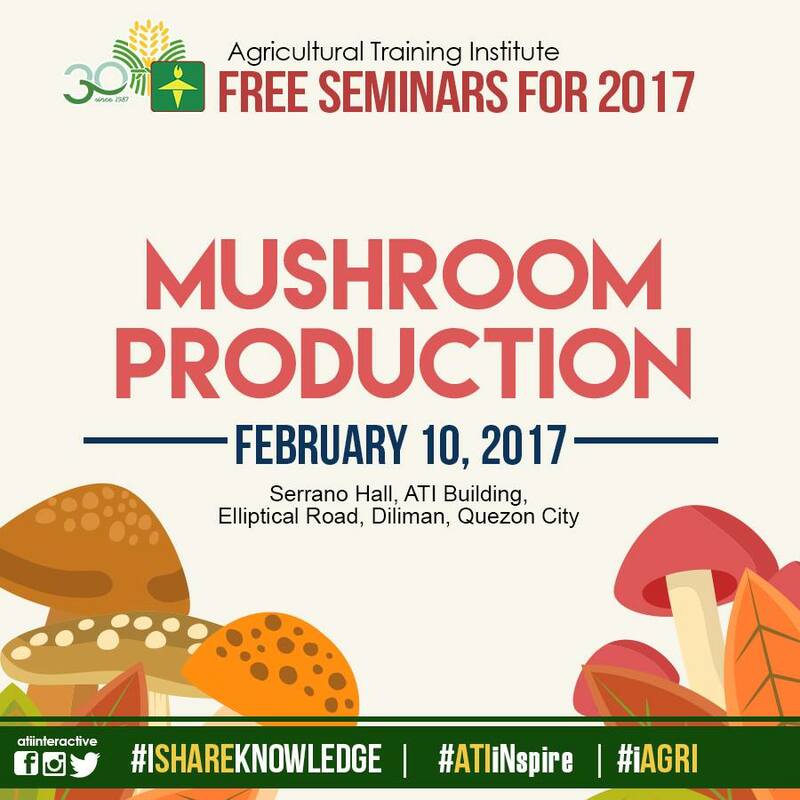 The Agricultural Training Institute is holding a free seminar on mushroom production tomorrow, February 10, 2017, in Diliman, Quezon City. 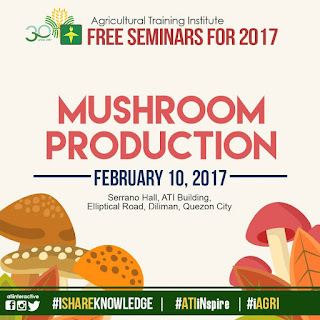 An expert from the Bureau of Plant Industry, Ms. Mary Ann Guerrero, will serve as resource person. The participants are requested to bring clean and empty 1.5 liter plastic bottles that they can donate t0 the ATIng Gulayan sa DA project of the Institute. After the seminar, everyone is invited to tour the ATIng Gulayan project to see how urban gardening can be done in the metro.